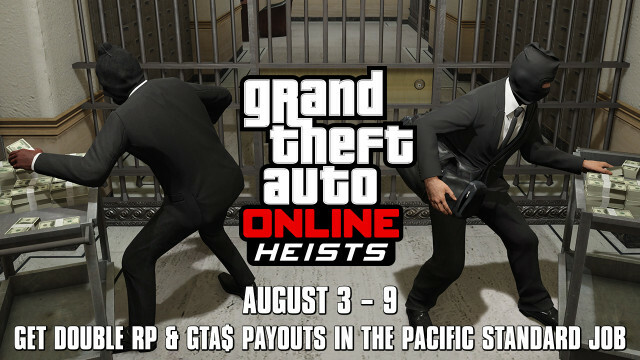 The grand finale in the lineup of GTA Online Double GTA$ & RP Heist bonuses kicks off today and lasts through the weekend with the biggest score of them all: the daring assault on the vaults of the Pacific Standard Public Deposit Bank. To set-up this raid on Pacific Standard's flagship branch in Downtown Los Santos, you'll need to steal motorbikes from the Lost M.C., destroy a Merryweather convoy, extract a fugitive from the clutches of the LSPD and much more - all while earning twice the GTA$ and RP you normally would. 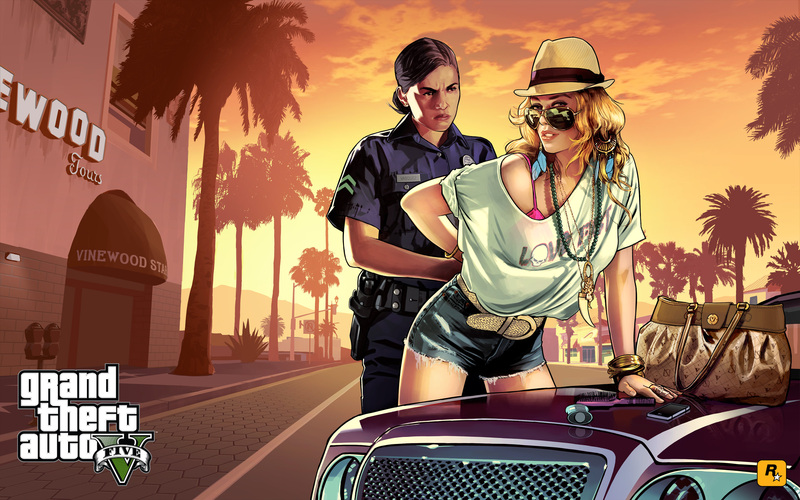 And these Double GTA$ & RP bonuses extend to the Elite Challenges as well, so finish the Finale in under 10:15, avoid having NOOSE called and make sure nobody gets wasted to reap some serious rewards. Also later this week, look out for additional special daily discounts in GTA Online, which will be announced through the official Rockstar Twitter, Instagram, and Facebook. Have fun and Crew-up in the forums! Pacific Standard Heist Double Score Week - Break the bank with double RP and GTA$ when you go after the Pacific Standard Heist in GTA Online.